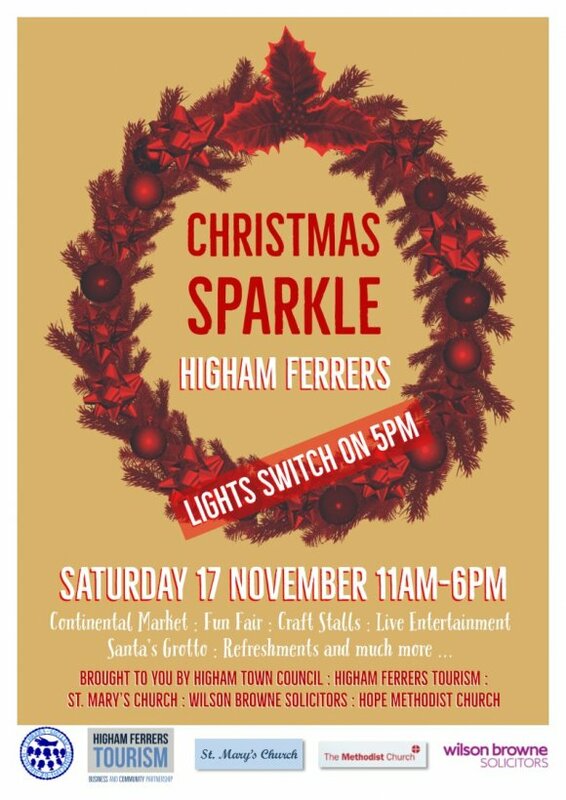 The wonderful festive Sparkle event in Higham Ferrers is on Saturday 17th November this year. There will be Fun Fair Rides, Continental Market, Trade and Charity stalls, Santa's Grotto, Delicious food and drinks and live entertainment on the Market Square. The local businesses also get involved on the day with many offering activities and refreshments to join the fun. This year we have a new stage to improve the visibility and sound for our entertainment and this has kindly been sponsored by Wilson Browne Solicitors. St Marys Church, The Methodist Church and Higham Tourism have been working hard on their craft fairs, Santa's Grottos, entertainment and displays so make sure you get to visit all of these fabulous attractions on the day.